We suggest using CBD Skin Rub for dry skin, sore muscles, minor aches and pains, arthritic joints, and nerve pain, etc. Can also provide relief from insomnia. 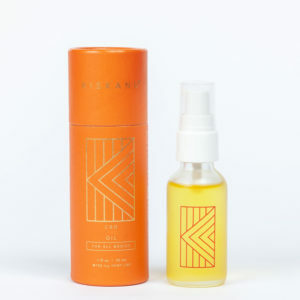 Providing pain relief while feeling light and moisturizing, Kiskanu’s CBD Skin Rub is an all-purpose salve made for the largest organ in your body, your skin! 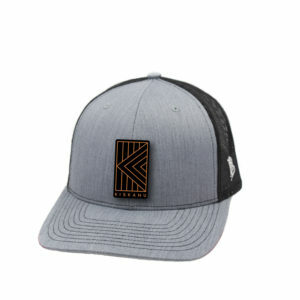 CBD is known to enhance muscle relaxation, soothe nerve pain, as well as have anti-inflammatory properties. Hemp oil is featured in this product formula as it is anti-oxidant and contains all of the 21 known amino acids – a building block in your body for healthy skin. St. John’s Wort is included for its abilities to promote nerve regeneration especially after any kind of muscular overexertion. Lavender is a known pain reliever, antifungal, antibacterial, antispasmodic and aids in wound and blemish healing. Comfrey is an accompanying herb to promote tissue repair. 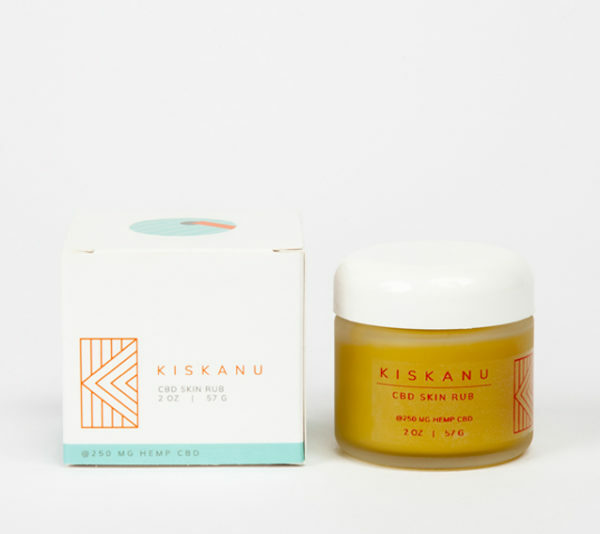 This is all blended together with beeswax to provide a protective barrier against the elements so Kiskanu CBD Skin Rub can work transdermally, longer. To use: Apply a pea-sized amount of CBD Skin Rub to the desired area and massage into the skin using circular motions. Apply as often as needed. Ingredients | cold-pressed oil (olive, hemp, jojoba, coconut), CBD derived from Hemp, st. john’s wort, comfrey, lavender, beeswax. All ingredients are organic when available. Contains Coconut. May Stain.